Oh, my, gosh- I adore chipotle anything, and you've made enchilada sauce out of it! 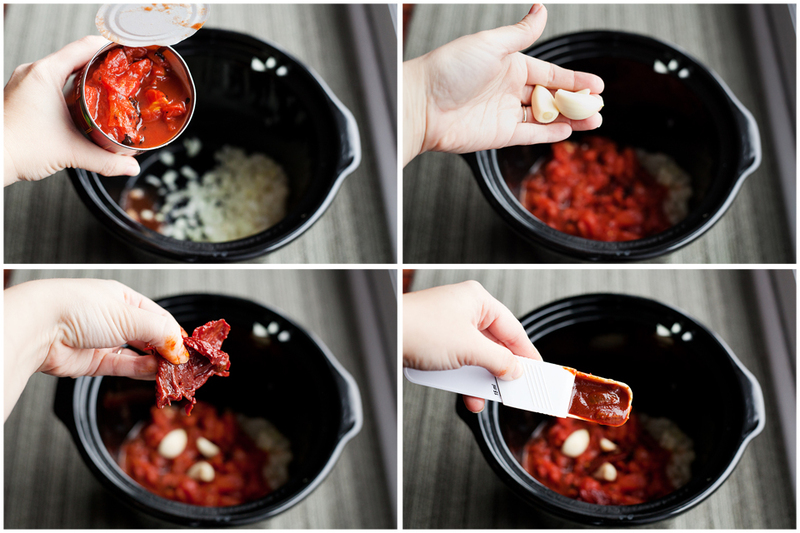 IN THE CROCKPOT. :D I saw this on Buns in my Oven What's Cooking Wednesday, and had to come over and get a better look! Thanks! Thanks Joy, I appreciate that! 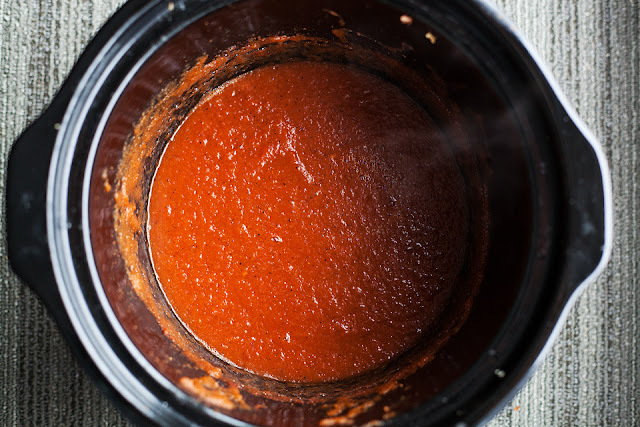 I love how easy this sauce is...just throw everything together in the morning, and you can have delicious enchiladas by dinner. I rarely make enchiladas at home because I can't stand store-bought enchilada sauce. They are a favorite of my husband's though...I can't wait to try this! Oooh this looks delicious!!! Pinning. No need to buy this ever in the store - beats anything there. 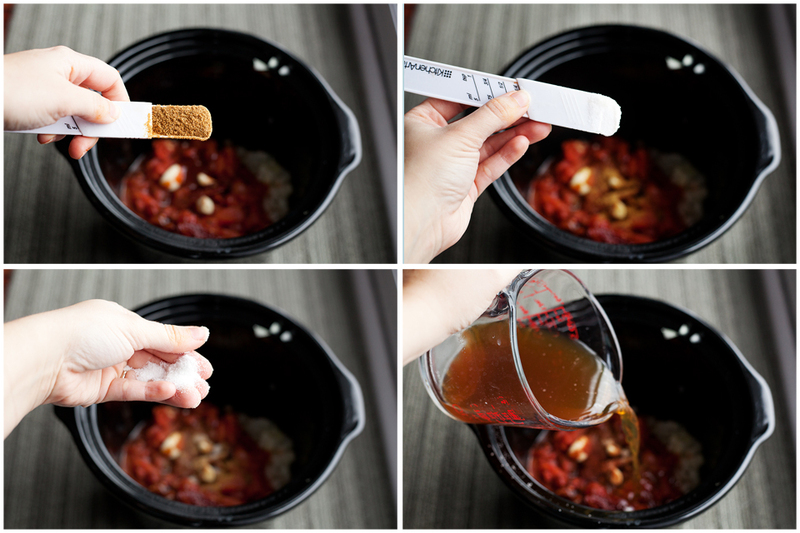 I love this idea - I never thought to make my own enchilada sauce! 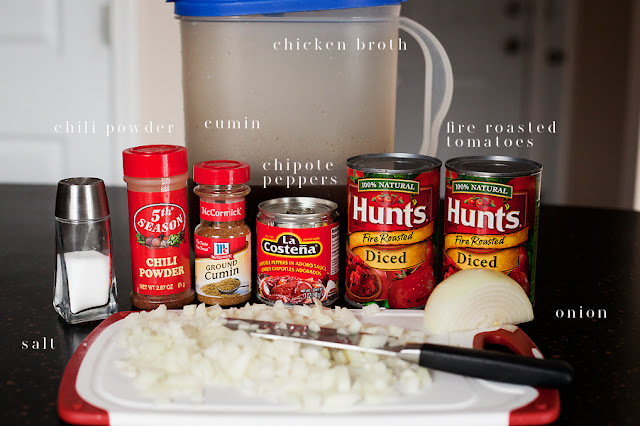 This is sooooo much better than any canned sauce, great recipe!